The meanings of “是…的” in expressing emphasis. It may be used to emphasize particularly the time , locale or manner of a completed action. Wǒ (bú) shì zuò fēijī lái běijīng de. Wǒ (bú) shì zuótiān mǎide zhè jiàn yīfu. Wǒ (bú) shì cóng xīdān mǎide nà shuāng xié. (nà jiàn yīfu) Nǐ shì shénme shíhou mǎi de? (nà běn shū) Nǐ shì zěnme zhǎodào de? Nǐ shì zuò fēijī lái de ma? Nǐ shìbushì zuò fēijī lái de? Wǒ yào qù xīdān mǎi yīfu. Wǒ qù xīdān mǎi le yīfu. Nǐ yào mǎi shénme yīfu? Nǐ mǎile shénme yīfu? Wǒ yào mǎi yì tiáo qúnzi Wǒ mǎile yì tiáo qúnzi. Nǐ shénme shíhou qù. Nǐ shì shénme shíhou qù de? Wǒ jīntiān xiàwǔ qù. Wǒ shì jiāntiān xiàwǔ qù de. Nǐ gēn shuí yìqǐ qù? Nǐ shì gēn shuí yìqì qù de. Wǒ gēn péngyou yìqǐ qù. Wǒ shì gēn péngyou yìqǐ qù de. Nǐ zěnme qù? Nǐ shì zěnme qù de? Wǒ zuò dìtiě qù Wǒ shì zuò dìtiě qù de. Shì shuí xiě de zhè fēng xìn? Shì wǒ xiě de xìn. Zuótiān shì tā guān de chuānghu. Nǐ shì shénme shíhou qù de xīdān? Nǐ shì zěnme qù de huǒchēzhàn? Wǒ shì jīntiān kànjiàn de tā. Wǒ shì zuótiān kànjiàn tā de. Tā shì jīntiān zǎoshang huí xuéxiào lái de. Wǒ shì shàng gè xīngqī dào ōzhōu qù de. Wǒ shì zuòfēijī dào měiguó lái de. Wǒ qùnián shíyīyuè lái Běijīng. Zuótiān wǎnshang wǒ qù shànghǎi cóng niǔyuē. Shàng gè yuè wǒ qù kūnmíng zuò huǒchē. Wǒ mǎi dàngāo wèi nǐ. Zhè fēng xìn dàjiā xiě. Tāmen shì dào měiguó qù shàngxīngqī. Wǒ kànle yí bù hěn yǒu yìsi de diànyǐng. Zhèlǐ yǒu yí dào hěn hǎochī de cài. Tā qùnián wǔyuè dào zhōngguó lái. Let’s learn some Chinese language with Chinese food today! Do you like Chinese food? Did you eat “锅贴”? I like it very much! Many American people are familiar with (熟悉 shúxi) Chinese dumplings (饺子jiǎozi). Many Chinese restaurants (餐馆cānguǎn) offer boiled (煮的 zhǔde) dumplings as a main dish (主食 zhǔshí); Cantonese (广东的 guǎngdōngde)restaurants often sells steamed (蒸的zhēngde) dumplings, with shrimp (虾 xiā) wrapped in it. 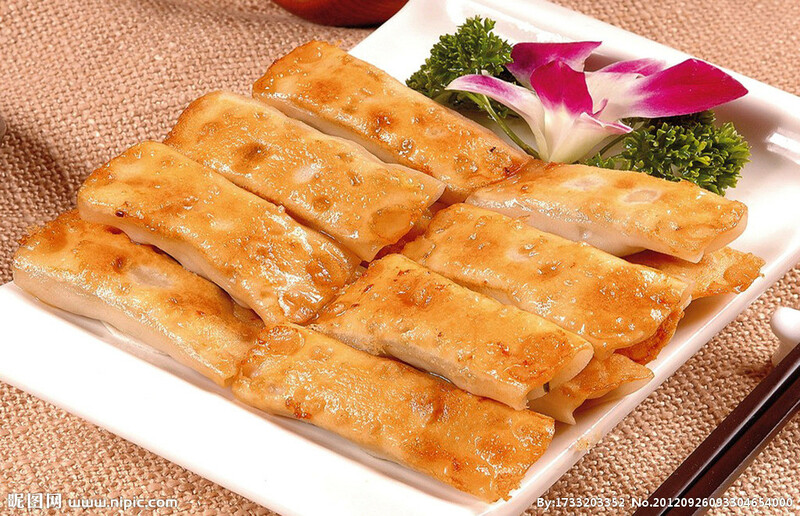 The third way to cook dumplings is to fry (煎 jiān) in a pan; therefore, the fried dumplings are also called “Pot Stickers (锅贴 guōtiē)” or “dry-fried dumplings (煎饺 jiānjiǎo)”. It was said that the Empress Dowager Cixi (慈禧太后 cíxǐ tàihòu)liked to eat dumplings very much, but only hot (热的 rède) dumplings. The imperial kitchen (御膳房 yùshànfáng) therefore had to constantly (不停地 bùtíngde) cook hot dumplings, and throw away (扔掉 rēngdiào) the cold (冷的 lěngde) ones. One day, the Empress Dowager Cixi smelled (闻到 wéndào) a great flavor (香味 xiāngwèi) from the outside of the palace garden (花园 huāyuán). Curious (好奇 hàoqí) in mind, she went to check what it was. It turned out that the chef (厨师 chúshī) in the imperial kitchen tried to stop wasting (浪费 làngfèi) the cold dumplings, and figured out (找出了 zhǎochūle) a way to eat them. Since the cold dumplings stunk (粘连 zhānlián) together (一起 yìqǐ), he fried them with oil (油 yóu) in a flat (平的 píngde) pan to re-heat yet to keep them in shape.